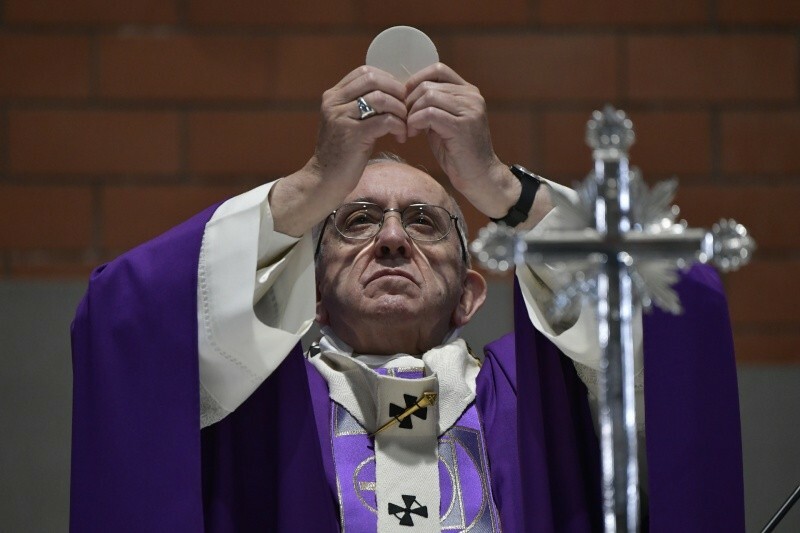 During his homily on Tuesday at Casa Santa Marta, Pope Francis invites us to look at a Crucifix when we are depressed and tired out with life’s journey. Pope Francis’ reflection was inspired by the first reading from the book of Numbers 21,4-9. The people were exasperated because of the long journey and were tired of eating the same food. They complained about the food saying they would die in the desert because of God and Moses. We forget the Lord’s strength As they drew closer to the promised land, some of the Israelites became skeptical because the scouts sent by Moses reported a land rich in produce but inhabited by a people who would be impossible to defeat. “By looking only at their own strength, they forgot the Lord’s strength which had liberated them from 400 years of slavery,” Pope Francis notes. The serpents who bit the people and poisoned them are an external symbol of poisoned hearts. And so the Lord tells Moses to make a bronze serpent and mount it on a pole. This serpent healed anyone who looked at it. “It was prophetic: it was the figure of Christ on the cross,” Pope Francis says.